This Sunday, the London Campaign Against Police & State Violence (@LCAPSV) are holding their annual conference. 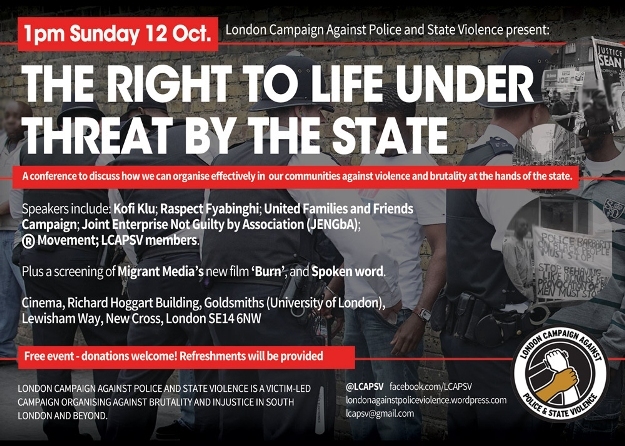 The theme is “The Right to Life: Under threat by the State”, speakers include Marcia Rigg who will talk about the recent CPS decision to refuse to prosecute the officers who lied about how the circumstances in which her brother died. Please come along.